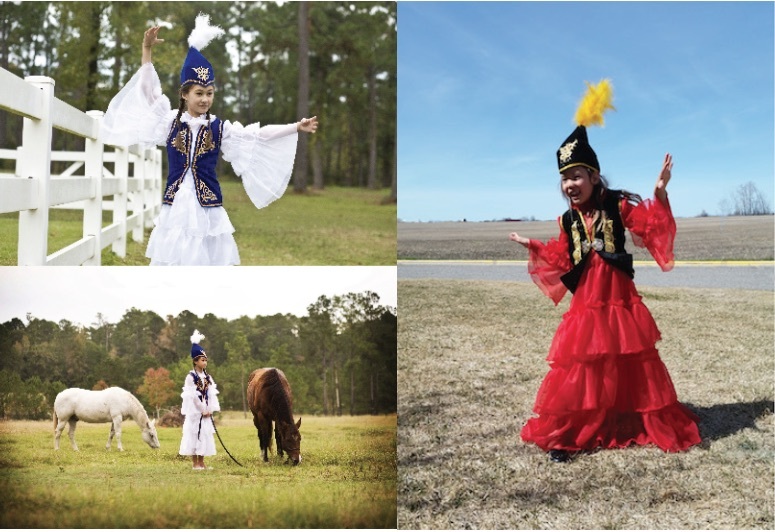 This is a handmade Kazakh Dress with vest & a hat with feather. This outfit will be handmade to order. Elena will contact you for details such as colors and measurements once you finalize your order. These beautiful pictures are from a few of our customers. Your dress should be very similar.